#VerolmeWeekend – The Naval Service OPV L.E. Aoife (P22) which this week detained a UK registered trawler, is to be open for public tours at Cobh Deepwater Quay, as part of Cork Dockyard Workers Gathering this weekend, writes Jehan Ashmore. Tours (2-5pm) of the Verolme Cork Dockyard built vessel commissioned in 1979 will provide access to view the second of the trio of 'Emer' offshore patrol vessels. The leadship of this class L.E. Emer (P21) completed in 1978, is to perform her final patrol next month. As previously reported on Afloat.ie she is to be put up for public auction, if not previously sold, in late September 2013 and LE Aoife is to follow suit a year later. The L.E. Emer and her sisters are a derivative of L.E. Deirdre (P20) and which saw the trio of OPV's modified to improve stability and increased speed. The 'Emer' class were also fitted with a bow thruster to improve manoeuvrability especially in confined waters. Noting, the 'Deirdre's bow which has a more pronounced flare compared to her newer sisters. L.E. Deirdre was the first custom-built vessel commissioned for the Naval Service when she was launched in 1972. She was decommissioned in 2001 and sold for €190,000. She was then converted into a luxury private yacht, Santa Maria, for more details visit this Facebook page. Of the remaining trio, L.E.Aisling (P23) dating from 1980 is the youngest. She will be retained when the pair of OPV's which are been built by Babcock Marine, Appledore in north Devon enter service in 2014 and 2015 to replace L.E. Emer and L.E. Aoife. The newbuilds are to break with tradition as reported in that they will be named after male literary figures (L.E. Samuel Beckett and L.E. James Joyce) rather than female mythical figures. When these newbuilds enter service they will maintain the eight-strong fleet which includes the 'flagship' L.E. Eithne (P31). As reported earlier today, she represents the last vessel commissioned for the navy by VCD and indeed is the final ship ever to be launched from the shipyard in Rushbrooke in 1984. 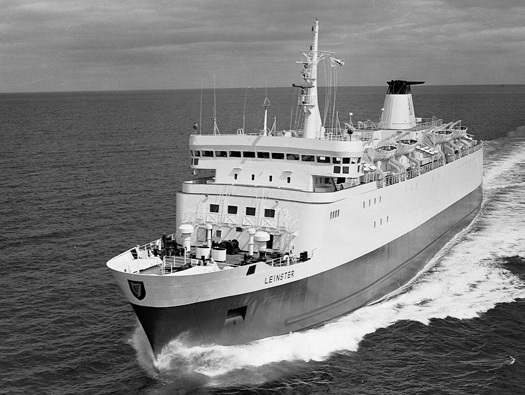 During its quarter century existence, VCD built a total of 33 vessels, mostly for Irish concerns, among them Irish Shipping Ltd, B+I Line, Arklow Shipping and a handful of overseas clients to include Sealink / British Rails' 'Freightliner' division.